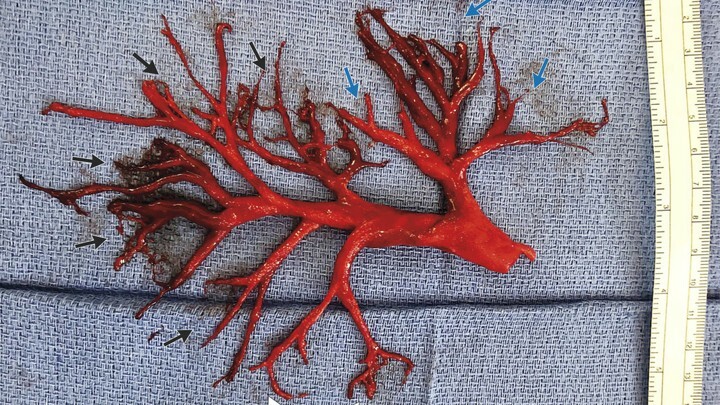 Our human bodies are awful horrifying things, and the New England Journal of Medicine made sure to remind of us of that whole heartedly when it Tweeted out a photo of an artery clog that a heart failure patient coughed up that was in the exact shape of the artery. Ventricles and all, and doctors have absolutely no idea how something like this could happen. This is terrifying, and the patient in question passed away a week later due to complications from heart failure. Augh. Terrifying. The blood clot meanwhile became an internet sensation as just another weird way for the people on Twitter to pass the time in between hot and cold takes. What do you think of the photo above? Let us know in the comments or on Twitter at @WhatsTrending.